An arrest warrant was earlier issued for Peter Daragh Quinn after he failed to show up in court today. Sean Quinn junior and Peter Darragh Quinn were jailed for 3 months today for contempt of court reports RTE. Sean Quinn Senior’s son and nephew have been told that they can purge the contempt at any time. Earlier today, Peter Daragh Quinn sent word via his solicitor that he was unwell and would not be in court today. 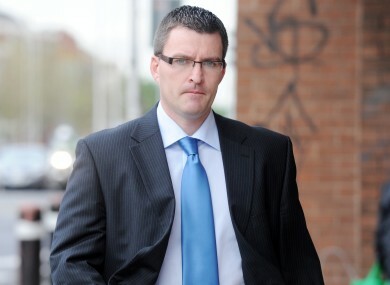 A warrant was then placed out for his arrest from Justice Elizabeth Dunne at the High Court 98FM’s Louise Byrne tweeted. Justice Dunne also directed Gardaí to exercise discretion in the case of genuine illness. Last month Seán Quinn, his son Seán Quinn and nephew Peter were found guilty of contempt of court. Justice Dunne had described them as evasive and ordered them to reverse the steps they had taken to put assets out of the reach of the Irish Bank Resolution Corporation, formerly Anglo Irish Bank. According to RTÉ the lawyers for IBRC have told the court that the three men seemed to be willing to go to jail for a short time in order to hang onto €500 million in assets. Email “Seán Quinn’s son and nephew jailed for three months”. Feedback on “Seán Quinn’s son and nephew jailed for three months”.